In theory, Burton Albion boss Nigel Clough was well aware of the premonitions of squaring up in a Carabao Cup semi-final against one of the greatest sides in Premier League history. However, to witness a rampant City side run riot in a 9-0 massacre was a rude awakening for the 52-year old of the astronomical gulf in class between the two sides. Perhaps an even more daunting prospect is that only 4 out of the 11 starters against the League One outfit can be assured of a certified spot, week in, week out in Pep Guardiola’s side which reflects the sheer class that runs deep in this exemplary Sky Blues squad. After a disastrous December which saw City drop 9 points, they have set the pace in 2019 with a lionhearted victory over league leaders Liverpool to restore the deficit to 4 points and kick the title race back into gear. However, 9th-placed Wolves present a stumbling block as they managed to keep the defending champions at bay in a 1-1 draw at the Molineux in August. While Willy Boly controversially handled the ball to score the opener in the reverse fixture, Wolves’ penchant for giant killing cannot be underestimated as they have lost only once against the top six this campaign. Moreover, Nuno Espirito Santo’s side are entering the contest in boisterous fashion after putting Liverpool to the sword, as they ran out 2-1 winners in the FA Cup. However, City are back to their brilliant best after dispatching 18 goals in their last 3 outings, albeit against lower league opposition such as Rotherham United and Burton Albion in the process. The fitness of Fernandinho has coincided with the Citizens’ purple patch as a brief thigh strain ruled him out of the catastrophic defeats to Crystal Palace and Leicester City. Averaging a sensational 1.8 interceptions and tackles along with 0.8 key passes per match from the base in midfield, the Brazilian is central in both breaking up play and transitioning the attack. To put things into further perspective, Pep Guardiola’s men have an inspiring win percentage of 71% with Fernandinho on the pitch as opposed to a bleak 59% without the former Shakhtar Donetsk midfielder’s presence. While the likes of Tanguy Ndombele and Declan Rice have been touted as replacements for the midfield dynamo, the Brazilian has etched his position as an indispensable presence at the Etihad. 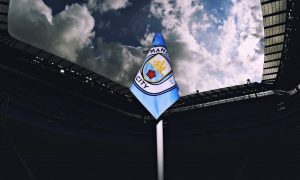 As the chase for the crown is on a knife edge and the stakes are as high as they could ever be, Pep Guardiola realizes that complacency is criminal at this stage as he acknowledges the threat posed by Santo’s Wolves as they visit the Etihad on Monday. The likes of Raul Jimenez and Adama Traore can wreak havoc on their day, but Wolves’ lynchpin is none other than Ruben Neves. The Portugese midfielder has been earmarked by many to be on Guardiola’s radar to add to his talent in the centre of the park in the summer. The former Porto captain has stepped up to the plate this season with 2.2 interceptions and tackles and 1.4 dribbles per game. While he lacks the tenacity of a Fernandinho or an N’golo Kante, the 21-year old is certainly an extremely refined prospect. While Vincent Kompany is nursing back to full fitness after the Liverpool tie and Sergio Aguero was under the weather, the latter partook in a training session and is likely to be in contention for the clash on Monday. Apart from the pair, the rest of the squad is confirmed to be available for the contest. Kevin De Bruyne’s return from injury, in particular is a massive boon for the Catalan boss as the Belgian can slot straight into the side after starts in the FA Cup and Carabao Cup have eased him into full fitness. The ex-Wolfsburg schemer was arguably the standout midfielder on the planet last season and his longstanding knee injury has impacted the Sky Blues, despite Bernardo Silva deputizing in his absence with utter class. To rest on your laurels is a notion that Pep Guardiola vehemently refuses and despite City rising to the challenge in recent weeks, the Spaniard admitted that he would “prefer to be in Liverpool’s position.” While Ruben Neves and co offer a slippery slope for the defending champions, the Citizens are expected to dominate proceedings.